Singer/songwriter and one of Ireland’s most popular artists, Paddy Casey, will be appearing in Swinford Cultural Centre on Saturday, 29th of November. Paddy has just released the ‘Paddy Casey Songbook’ and his ‘Out of Control’ single released during the summer is one of his best songs yet. The ‘Paddy Casey live’ experience delivers the goods – and has been delivering them since he burst on the scene back in 1999. Swinford Cultural Centre is our new venue here in Swinford and is a perfect intimate setting for a performer such as Paddy Casey. Kick off your Christmas season in style…. 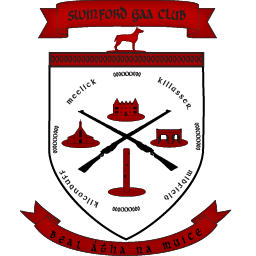 A Swinford.ie production, this event is brought to you by Swinford Motors and Swinford GAA. All profits from the night go to Swinford National School.